Don & Cyndie have served for 44+ years in foreign missions. Before, they served in the ministry of with Teen Challenge in Philadelphia, PA in the rehabilitation of gang members and addicts . They later served with the Division of Home Missions of the Assemblies of God (A/G) in the ministry among the Cuban refugees in the Miami area in the Cuban Evangelistic Center (IEP), the Cuban Refugee Center of the A/G, and taught at Miami Spanish Bible Institute. They were contacted by the Division of Foreign Missions in Springfield, Missouri, and received their approval as missionary candidates in 1972, which led to their foreign missions appointment by the AGWM. 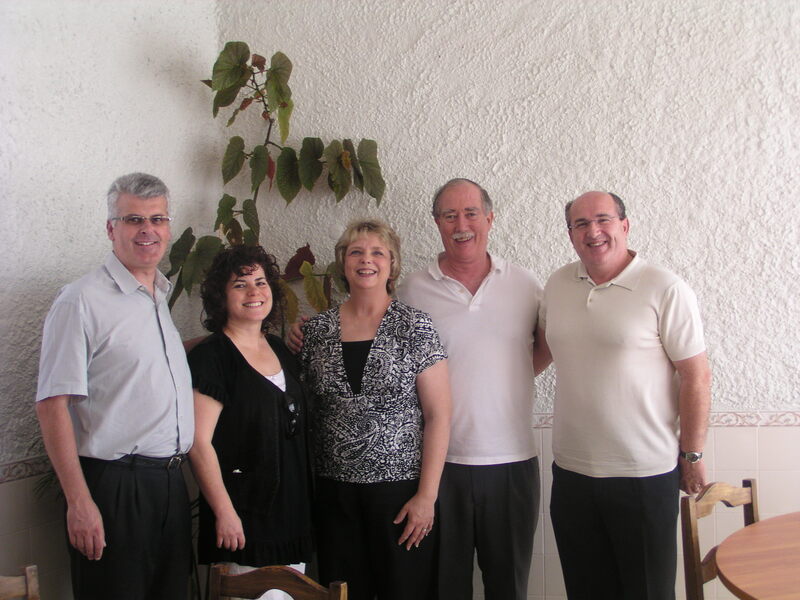 Don & Cyndie’s first assignment on the foreign mission field was to learn Portuguese and help establish a resident Bible Institute for the national Assemblies of God of Portugal, Monte Esperança. They arrived in Portugal in 1973. In 1975 they transferred to the field of Spain at the request of the DFM (now AGWM) in order to fill an urgent need in there. 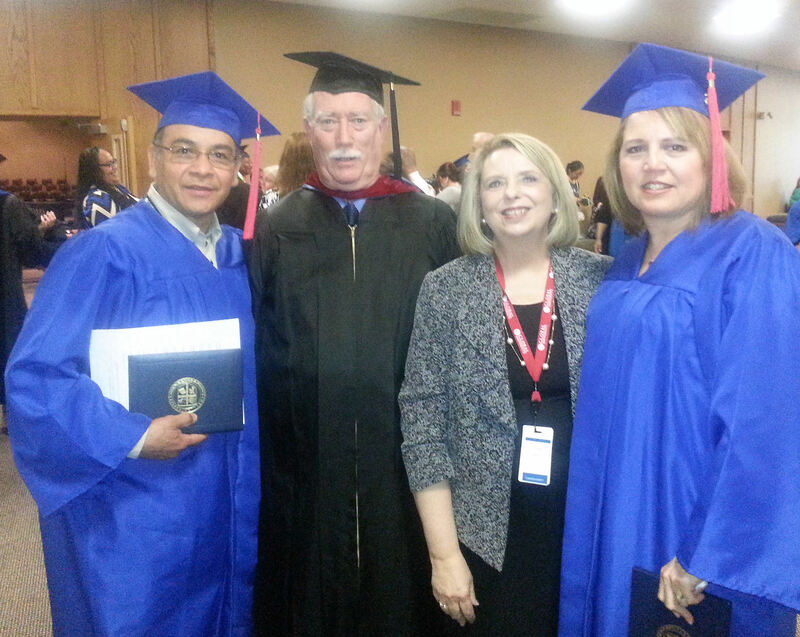 Don took on the responsibilities of pastoring a church in Madrid and the position of director of ICI (International Correspondence Institute Spain), now Global University, for Spain. Don & Cyndie ministered in evangelism, seminars, and workers’ training across Spain through correspondence and personal contact. The Jeters spent 15 years ministering on the Iberian Peninsula until July of 1988. 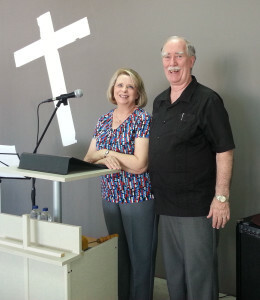 Don & Cyndie felt a burden for our own churches in the USA with respect to the lack of growth and the preaching of the Word in Pentecostal power with signs and wonders following, advocating a return to the basics of Pentecost – intercessory prayer, the Baptism in the Holy Spirit with the initial evidence of speaking in other tongues, the operation of the Gifts of the Spirit in the church which includes the healing of the sick and other signs & wonders, bold Spirit-empowered evangelistic witness, and living in holiness with the urgent expectancy of the imminent return of the Lord Jesus Christ at the Rapture of the Church. Don & Cyndie resigned their missionary appointment with AGWM in 1988 and later accepted the chairmanship of the Department of Missions and a teaching position at Trinity Bible College in Ellendale, North Dakota. In 1993 Don and Cyndie accepted reappointment with AGWM in order to minister in Cuba in the area of teaching and leadership training. They were later assigned to the Strategic Missionary Force for Latin America & Caribbean while maintaining their active ministry in Cuba and teaching with the Latin American Advanced School of Theology of the A/G in their advanced degree program. 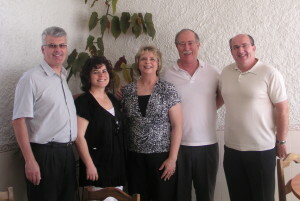 After 12 years of active ministry in the field of advanced ministerial training and theology throughout Latin America and in Cuba, the Jeters were asked by the Assemblies of God World Missions Department (formerly DFM and now AGWM) to return to Spain and help direct the ministry of SETS based in Madrid, Spain, and ministering to Spanish-speaking churches throughout Europe. 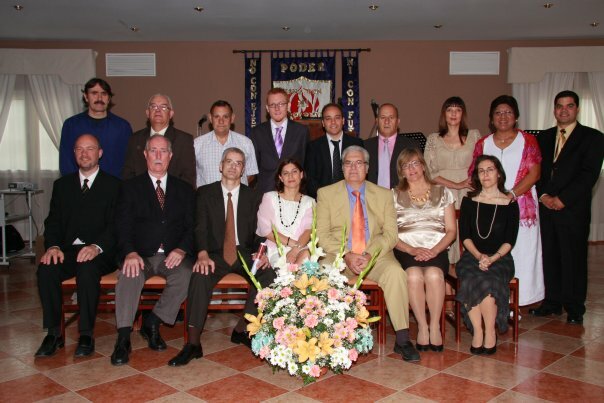 The ministry of SETS provides the fourth year of the Bachelor of Arts Degree in Theology and Bible and also the Master of Arts Degree (in a non-traditional format of modules/seminars and directed research) for ministers in Spanish-speaking congregations throughout Spain, the Canary Islands, and areas with heavy Spanish populations in Europe. With the initiation of a 4th year BA program at CSTAD, SETS has now been integrated into the Spain A/G seminary. We rejoice for the full accreditation which the seminary received from the Spanish government in November 2011. 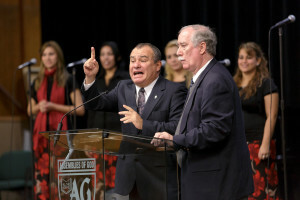 Don ministered teaching and writing as professor of record at the A/G seminary in Spain, CSTAD, and extension centers in various parts of Spain. 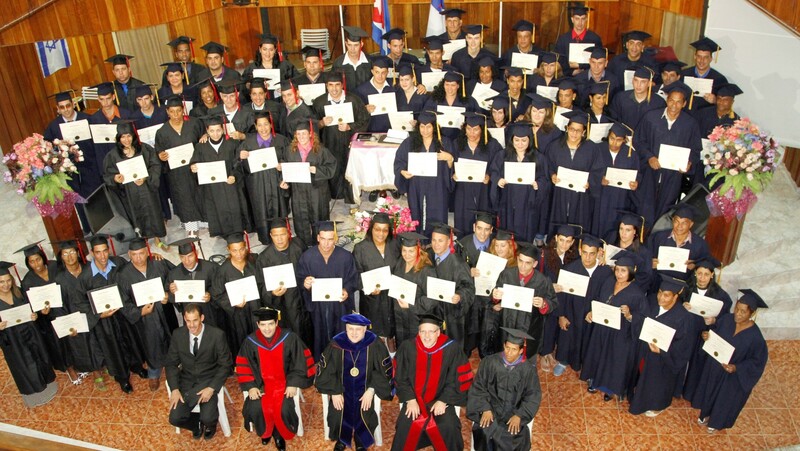 The Bible School presently has 35 extension centers and 800 students studying besides the 53 resident students at the main campus in La Carlota, Córdoba. For the same four years Don & Cyndie ministered in active leadership positions for a church plant, El Hogar Cristiano, in the city of Alcalá de Henares (pop.250,000) in the province of Madrid. They rejoice at seeing souls saved (primarily Spaniards), Filled with the Spirit, and God confirming His Word with miracles, signs & wonders in this key historical university city (est. 1 B.C.). They saw the attendance triple and ministries increase in number and effectiveness. After much prayer and being presented the urgent need for a qualified & experienced professor for the recently established Global University Cuba, Spanish-speaking Latin America (and Spain) and the Portuguese-speaking world, in August of 2012 the Jeters transferred to the International Ministries division of AGWM assigned to Global University with special attention to Cuba. The A/G in Cuba has grown from 89 churches to nearly 10,000 places of worship since 1990. Global now has over 1,800 ministers signed up to study in their degree program in Cuba. Enrollment is expected to reach 3,000. We are told that the A/G in the Portuguese-speaking countries of Angola and Mozambique have 4.5 million people in attendance. They need trained pastors & ministers to help conserve the fruit of Pentecostal revival. We appreciate your prayers and continued support as the Lord has allowed our continued missionary ministry to unexpectedly expanded to and impact the preparation of ministers for the Harvest in 3 languages and 4 continents with Global University, a part of International Ministries of AGWM.